Congratulations to all our students that participated in the GeoBee on Friday, January 18th. Our GeoBee champion is Rahul D. from fifth grade and second place was Andrew H. from sixth grade. Rahul's next step will be to take a GeoBee Qualifying Test. Good luck! Thank you to all the families for supporting this fun event. 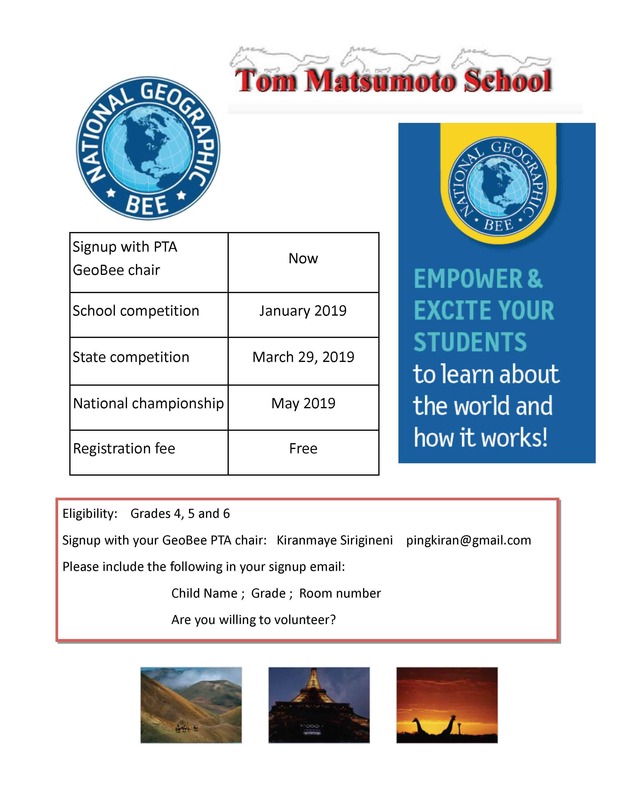 Thank you to our GeoBee Chair, Kiranmaye Sirigineni for organizing the event. Matsumoto's GeoBee was held on Friday, January 18th at 6pm in the Forum. Click here for study materials.